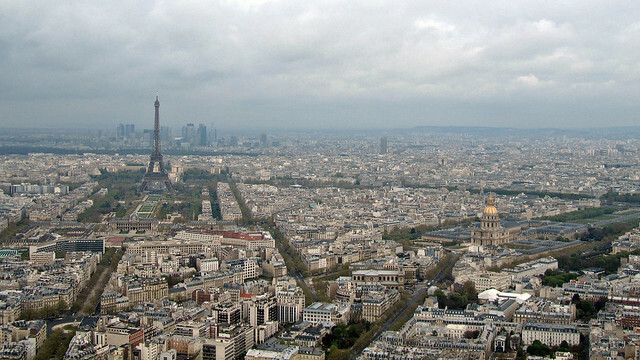 Another fun thing about organising my archived photos is the realisation that, over the years, I’ve been very lucky to have seen Paris from many vantage viewpoints around the city. Nearly all of these locations are accessible to everyone all year round, free or ticket-requiring. 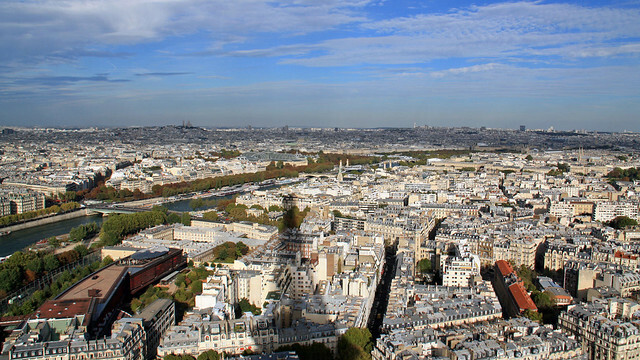 If you are looking for a place to see Paris from higher grounds (without breaking the bank by hiring private flights), up up you go! 1. Eiffel Tower: This is an obvious one, and my last visit there was as a family outing. We were very pleased to have a wonderfully sunny weather, despite strong wind earlier that day which caused closure of the top-most level. It had reopened by then, but the crowd trying to access it was too crazy for us to even consider tackling. The mid-level viewing decks worked perfectly fine for us. 2. 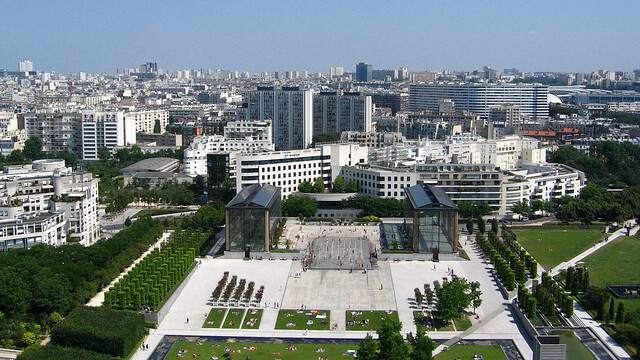 Tour Montparnasse: This block of tall building in Montparnasse doesn’t often get praises, except when the visitors are at its roof level and admiring the panoramic view of the city that includes the iconic Eiffel Tower itself. Not terribly fair, really. A friend and I went up to the top on a rather grey day (well, we didn’t get too many sunny days when she was visiting) but the view was still lovely. I should try an evening/night visit sometimes. 3. 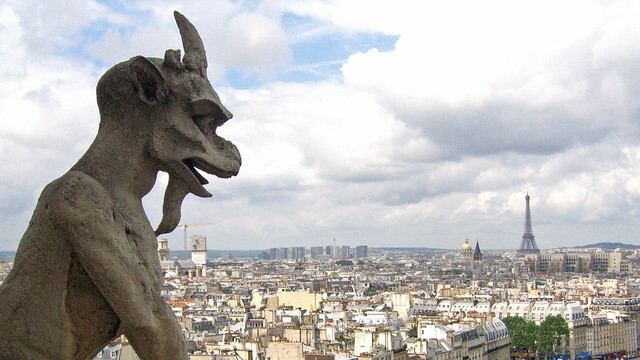 Tower of Notre Dame: It is fun to see the gargoyles watching over the city! There is usually quite a queue to visit – even the Paris Museum Pass doesn’t get you express access – and if a group of visitors decide to take their sweet time at the top, the longer you’ll have to wait. Best to get there very early, or during the lunch-break lull. Since it’s also rather windy on the tower, wrap up well. 4. Arc de Triomphe: Not quite as many visitors seem to realise it is possible to climb to the roof-level of the Arc de Triomphe, the prime spot to observe the comings and goings on Champs-Élysées. It is open well into the night (10.30pm in October-March, 11.00pm in April-September) and during the “wintry” months, it is even free to visit on first Sunday of the month. Nice, right? 5. Institut du Monde Arabe: There is no need to visit the exhibitions in the institute – having said that, I’ve been to one before and it’s very interesting, well-worth visiting – to gain access to the roof level, where a restaurant also sits, and you also don’t need to eat there to enjoy the view. 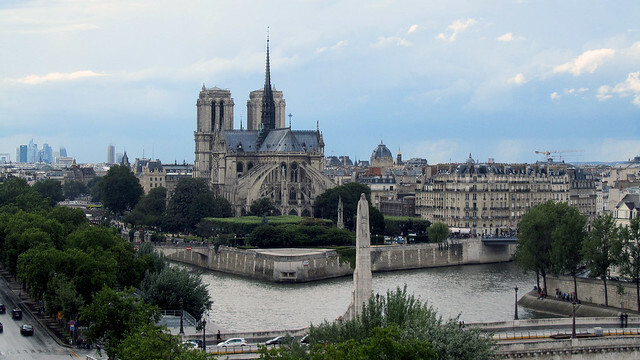 The degree of view may be slightly limited here but hey, it’s still a good spot to admire Paris, especially the islands where the Parisii founded their namesake city. 6. 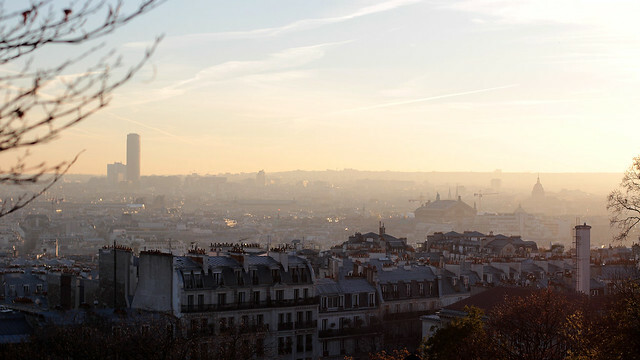 Ballon de Paris: There is an option to sort-of go hot-air ballooning in Paris! Located in Parc André-Citroën, this balloon’s primary function is actually to measure the air quality of Paris but it doubles up as people carrier, taking those wishing to see Paris from a different light soaring up for about 10 minutes. This ride was also the only time I’ve seen both the Eiffel Tower and the Sacré Cœur within the same view frame. 8. 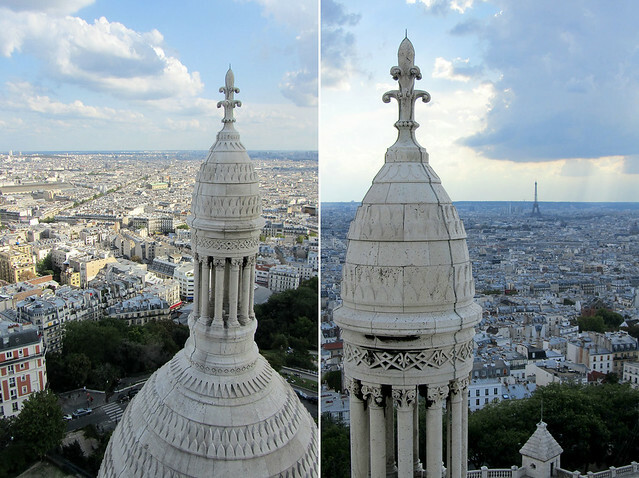 Dome of Sacré-Cœur: If you insist on going even higher ground while in Montmartre, look no further than the dome of the Sacré-Cœur. Some 300-steps later, there it is, Paris in its glory, accompanied by gargoyles and fantastical beasts that call the basilica home. Space-wise, it is a bit tight up here, so perhaps not ideal for someone who prefers not to squeeze oneself to the wall so another person can walk past. 9. Galeries Lafayette: I know my share of visitors who have Galeries Lafayette on their to-visit list, so this is a good opportunity to kill two birds with one stone. Head straight up to the roof and voila, we’re seeing the Opera Garnier up close with the rest of the city spreads in the background. 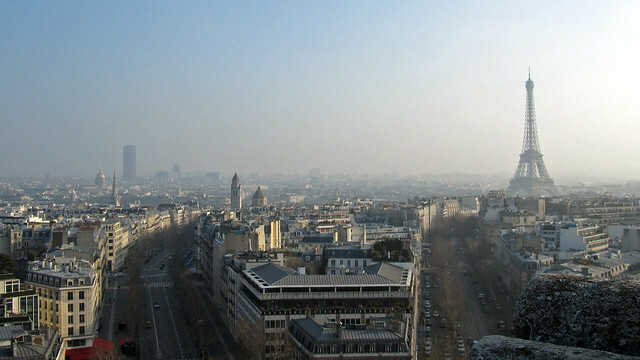 The view of Montmartre and Sacré-Cœur is unfortunately rather obscured. I’ve heard of similar and equally free viewpoint available over at Le Printemps but I have not checked that out yet. 10. 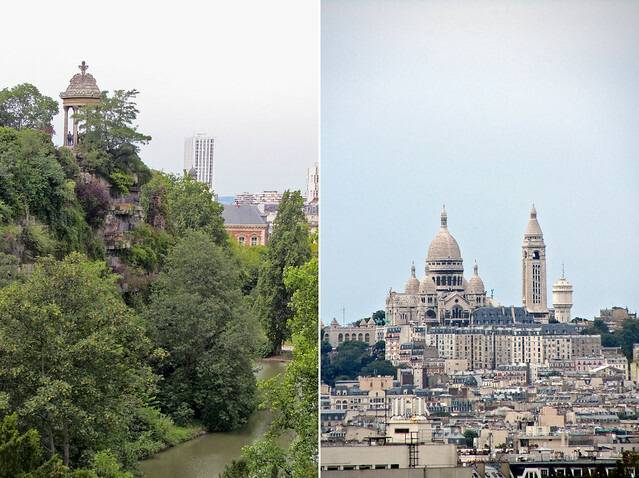 Buttes Chaumont: It’s a pity I don’t visit this part of the city more regularly. Buttes Chaumont is a beautiful Parisian park that boasts an artificial lake fed with waterfalls/cascades and a small temple perched over the lake. 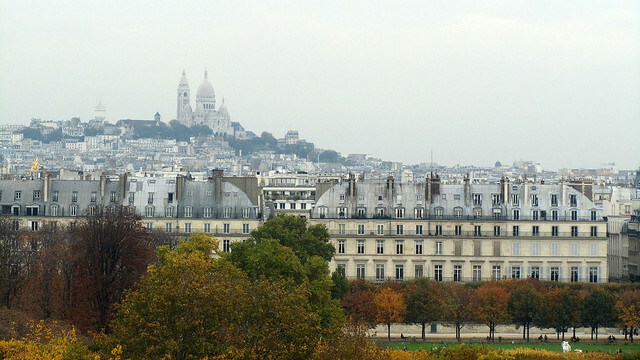 It is from this temple point that one gets a lovely panoramic view of Paris (note: there may be other spots around the parc that I’m not aware of) and for once, Montmartre is actually closeby rather than far far away. 12. Centre Pompidou: Another museum with outdoor balconies on the higher floors which visitors could step out and fall in love, all over again, with Paris. I am particularly charmed with its south-facing viewpoint, to see Dali telling me to keep a secret between ourselves, and to spot great churches and cathedrals and domes and towers in the background. What’s not to love? 13. 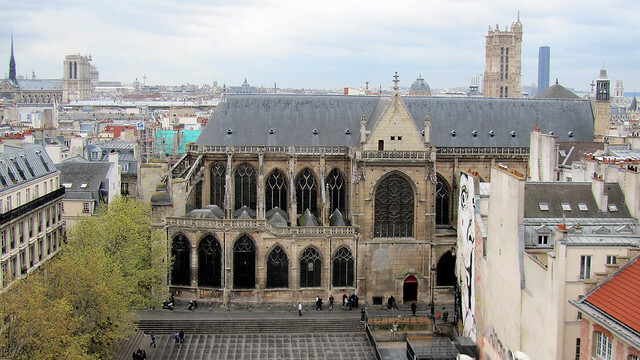 Tour St Jacques: This is an elusive spot that I had the great fortune to climb last summer and was treated to a magnificent 360° panoramic view of Paris. Best. Viewpoint. Ever. There’s no word yet if it’ll reopen again to visitors this year, or if there’s any long-term plan to keep the tower open all-year given sufficient support and funding. If the opportunity ever comes up again, definitely one not to be missed! 14. Sorry, no public access: I couldn’t resist adding this spot on the list, even though it is not open to non-personnels (and their invitees) at all. 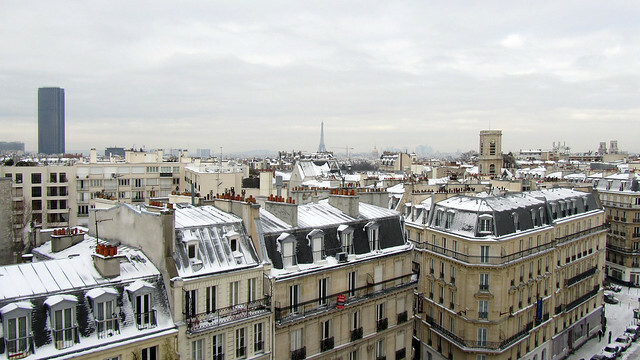 The top floor of my former work building has amazing view of Paris and oh, how I wished my office was all the way up here rather than the first floor. A friend of mine has even better luck – her office is on the 20+-th floor on a tower and now, that, is an office to grab. 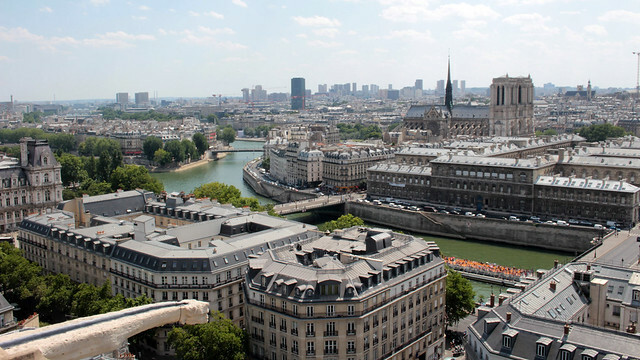 There are of course more locations for vantage views of Paris that I am not aware of, as well as those that are private or are parts of business establishments (e.g. rooftop bars, hotels). I shall check out more as opportunities arise, of course, and in the mean time, I’ll keep exploring the city and get to know it better on the ground. Update 8 Feb: F and I went on La Grande Roue at Place de la Concorde! 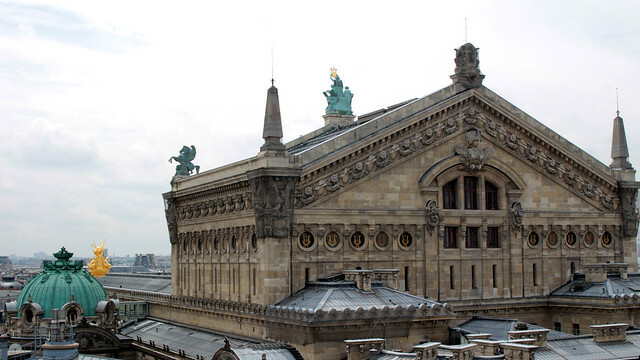 You also can have a wonderful view on Paris from the Samaritaine, the grand magasin near the Pont Neuf : it is closed for the moment, but I hope that we still have access to the roof top when it re-open ! And yes, the IBENS building is ugly, but the view from the top is astonishing ! Yes! I’ve been to the Samaritaine before it closed down, but back in the days when I didn’t have digital camera and I have no idea where is the photo I took anymore… We’ll see if the upcoming hotel will allow easy public access.